Starting a business in Richmond? You don’t want to miss this! Being involved in helping start-ups in Richmond, we often get invitations to attend sessions put on by the Economic Development departments of the local governments. When we get them, I’ll make sure to post them here for your reference. The ones I’ve attended in the past have been extremely helpful and great brush ups on the resources that the localities provide for small business. As part of our ongoing efforts to provide you with valuable information & resources, the City of Richmond Department of Economic and Community Development-Business First Richmond Program is pleased to announce another in our series of free educational seminars. The City of Richmond Department of Economic & Community Development and the Virginia Department of Business Assistance will host the first in a two part series on establishing and growing your business. Part I in the series the” Entrepreneur Express Seminar” will address the basic concerns of establishing a business in Richmond. The seminar will be held Wednesday, October 12, 2011 from 8:30 am to noon at the Police Training Academy, 1202 W. Graham Road, Richmond, Virginia 23220. (See Entrepreneur Express Seminar Flyer for details) Please share this information with your clients and colleagues. To sign up (free! ), you can either register online by clicking here, or call 804-371-0058. Oh, and make sure to let me know if you’re going to be there! Leave a comment here or at least be sure to come up and say hello when you see me there. What to do if your landlord doesn’t respond to repair requests? So you’ve had a roof leak for a while, making the drywall from the ceiling cave in..and who knows, maybe there is mold in there?! You called the landlord or property manager about the problem when you first noticed it, which was 2 months ago, and maybe they sounded like they were going to take care of it (and maybe they didn’t) — but you haven’t heard from them since. What do you do? This is important. Do not stop paying rent. There is no advantage to be gained legally by withholding rent, even if the place becomes untenable. The courts do not look kindly on a tenant taking that kind of decision into their own hands. After a reasonable amount of time has passes, take a copy of the written notice, along with the next months rent, down to the John Marshall general district court at 400 N. Ninth Street. A clerk will help you file a legal assertion. There is a small filing fee of $56 to file assertion. We’ve even tracked down the onlinie form, DC-429, available through Virginia courts here. If you stop paying rent, you may still be liable for late fees and other repercussions for being late (i.e., bad marks on your credit or even eviction). You are not alone or powerless against a landlord, but you have to play by the rules that have been set up to protect everyone involved. Have you been through this process with the courts? I would be grateful if you share your experience below in the comments, so that everyone can learn from it! To cover yourself in case you lose a big court case filed by an injured tenant, buy anumbrella insurance policy that gives you liability protection for $1 million to $5 million or more if you have a lot of assets to protect. There is always a lot of new legislation passed every year that sounds like a good idea at the time and generally goes unnoticed, and every once in a while the consequences of that legislation become horrifyingly apparent afterwards. When the provision was included in the small business bill, REALTORS® were among the first and firmest opponents of it, helping to ensure that Congress understood the provision was an example of over-reach that was never intended to burden mom and pop property owners. Members of Congress and President Obama got the message and, in a rare example of agreement between not only Republicans, Democrats, and independents, but also between House and Senate chambers and between the legislative and executive branches, lawmakers agreed the provision needed to come out. Nice to know that we don’t have this provision coming up to haunt us over the next few years, isn’t it? The issue of a residential tenant deciding to get a pet in the middle of a current lease term doesn’t come up nearly as much as you would expect, but every so often it does. In most cases we do require a pet deposit to cover any damages that the pet may do to the property. Legal technicalities aside, the landlord has a good practical argument for retaining the whole deposit [until the end of the lease]. The increased deposit was intended to provide coverage for any damage the dog might do. The landlord may not know about any such damage until you move out, even though the dog is long gone. The above quote is from a post on Inman News in a Q&A column that I thought was worth sharing here (click the link to see the rest of the article). Not only is the post a good primer on the ins-and-outs of security deposits, but also on the general nature of leases and how changes to an existing lease should be handled. This is important information to understand for both landlords and tenants. 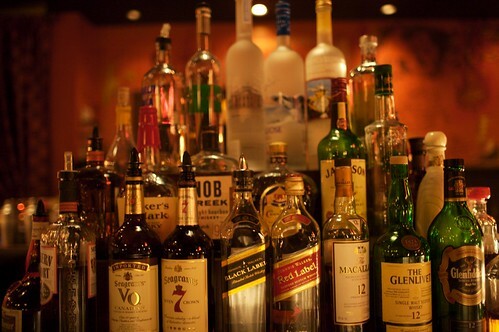 Basically, lease terms can’t just be changed at the whim of one party (duh!) — while that seems like it should be taken for granted, you would be surprised how often we have to explain that in the normal course of business. Government regulations are typically so complicated that not only can the lay-person not understand what they mean, but they are written in such a way that even people that think they know what is meant are left arguing completely different interpretations. Zoning regulations are no exception. The Planning Commissioner for NYC, Amanda Burden, is attempting to make the zoning regulations a little more accessible to the general public by issuing a new city handbook with plain explanations and cartoon drawings that illustrate what particular zoning designations look like and what they mean. Check out the coverage in the New York Times about what she has been doing to bridge that gap. While this may not be the right approach for every locality, the idea is one that every local government should take to heart: Start building tools that puts control of the government back into the hands of the people. Sure, we elect officials to represent us and we should not be ruled by mob mentality (see: California), but the people also need to be able to understand what is being done — especially when we are expected to interpret these rules and abide by them. I have seen far too many business and property owners try to follow the rules that have been laid out, only to find a health inspector or building inspector come in with a totally different understanding and cost the owner thousands of dollars in hard cost and lost business because the rules were not clear enough. What do you think, Richmond? Have you had any issues with the local zoning regulations (city or county)? What would you suggest could be done to make the rules more clear? With the passing last year of the founder and principal broker owner, Danny Athans [edited 3/23/10, per information from Church Hill People’s News — link to announcement here], the future of St. John’s Realty was unsure. 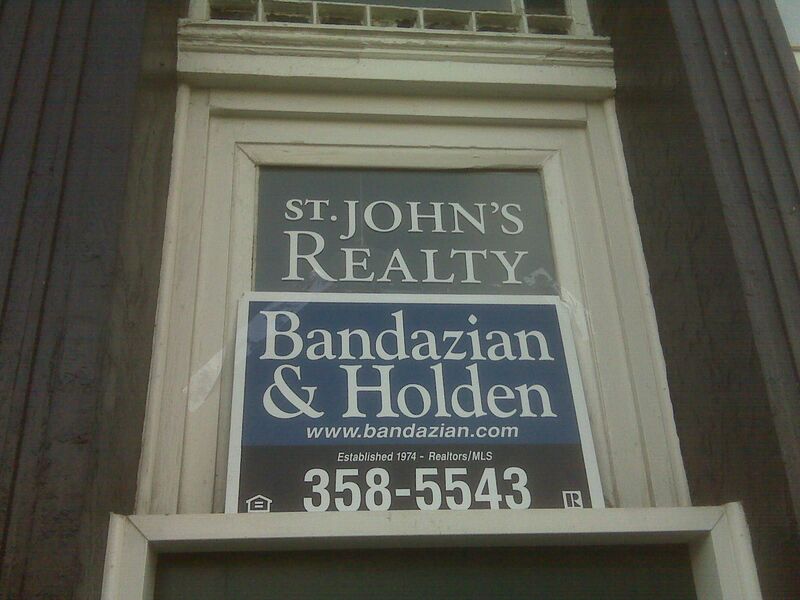 I am proud to announce that we at Bandazian & Holden have stepped up to take over the accounts, and all of the years of hard work by St. John’s Realty will not go to waste. There are a lot of other details that will be forthcoming, but there is a lot of work that we are doing right now to get in touch with the property owners and tenants to alert them to the change, and to get all of the files in order. We are very excited for the opportunity to serve this new group of property owners and tenants, and to expand our presence in Church Hill!